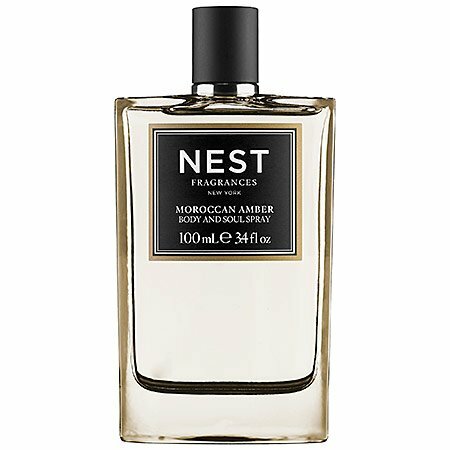 Nest Fragrances Moroccan Amber Body & Soul Spray-3.38 oz. Moroccan Amber: Moroccan amber, sweet patchouli, heliotrope and bergamot are accented with a hint of eucalyptus. Luxuriate in your favorite NEST Fragrances scents anytime, anywhere with this exquisitely formulated Body & Soul Eau de Toilette Spray. 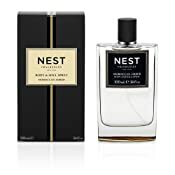 Lightly scented to perfume and refresh the skin, NEST's Body & Soul spray enlivens the senses with spirited fragrances. 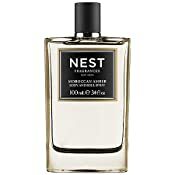 Packaged in a handsome, custom-designed ombre glass bottle that corresponds with the fragrance, choose a signature NEST scent to wear year-round, layer with your favorite Eau de Parfum, or simply spritz yourself throughout the day for a quick pick-me-up! Exquisitely formulated Body & Soul Eau de Toilette Spray. Use any time during the day for a quick pick-me-up!